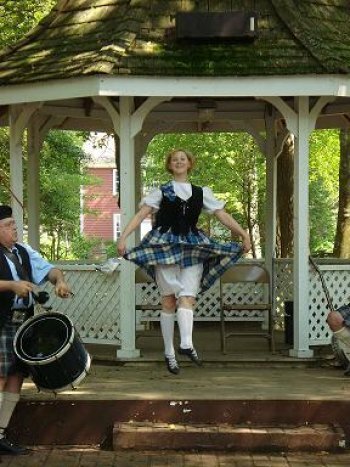 Each year in June the Celtic Festival takes place on the grounds of Cold Springs village just outside historic Cape May. It is a great option if you are looking for activities on your next vacation in Cape May. The festival has grown in popularity each and every year. The festival appeals to aficionados of traditional Celtic folk music, and crafts. This is not a St Pat’s day drinking party, it is a cultural experience. Family, friends and music lovers appreciate the focus on traditional Celtic folk music. The Cold Springs Celtic Festival will take place over 2 days June 6th and 7th from 10am to 4:30 pm. The festival cost $6.00 a day or save with a 2 day pass for $10.00. This entry was posted on Saturday, June 6th, 2009 at 11:33 pm	and is filed under Uncategorized. You can follow any responses to this entry through the RSS 2.0 feed. Both comments and pings are currently closed.